Get out now before it’s too late! but do you really want to outcrazy your fellow freaks to secure the nomination? 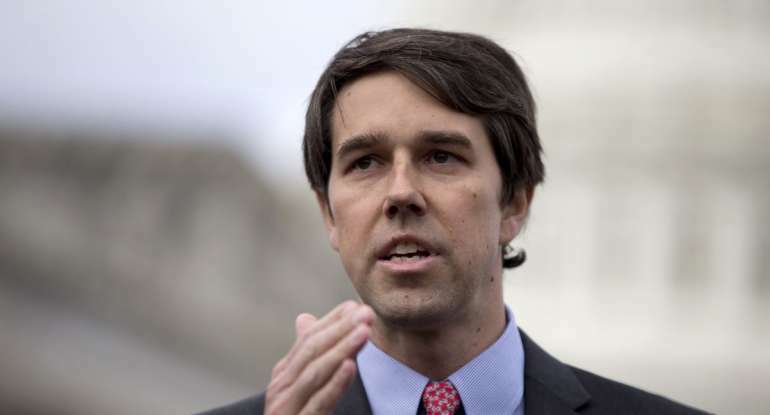 O’Rourke made the comment at multiple campaign stops during his first swing through Iowa, including earlier Friday, eliciting laughs each time, but he also drew criticism as being insensitive to the challenges faced by single parents raising children. Apologizing for a lousy attempt at humor is one thing. But the outrage mob was lying in wait for O’Rourke and he gave them an obvious opening with his self-deprecating crack. Presidential candidates in 2020 are going to have to walk on eggshells, weighing every word for its potential “insensitivity.” In this case, activists complained that a woman couldn’t make the same joke, so it was insensitive. A 15-year-old daydreaming about a “moneyless society” is pretty common. But “sweet visions filling my head” after running over a couple of “happy happy” kids with his car is definitely not common. I have to ask it: what do you think the reaction would have been if a Republican candidate had written that? Every amateur Democratic mental health professional would declare the candidate unfit for office. If only Republicans had it so easy.